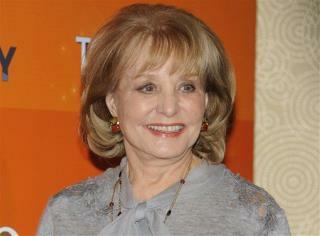 (Newser) – Barbara Walters has apologized for trying to find a job and a spot at an Ivy League university for one of Syrian President Bashar al-Assad's aides. Emails obtained by the Telegraph reveal that the veteran ABC journalist struck up an ill-advised friendship with Assad media adviser Sheherazed Jaafari as she arranged her interview with Assad in December. Walters told Jaafari, the 22-year-old daughter of Syria's UN ambassador, that she couldn't get her a job at ABC, but offered to help her in other ways. i told you she was a nutter! she should no longer be let out of her house! Perhaps she would fit in with Hilary and Huma.